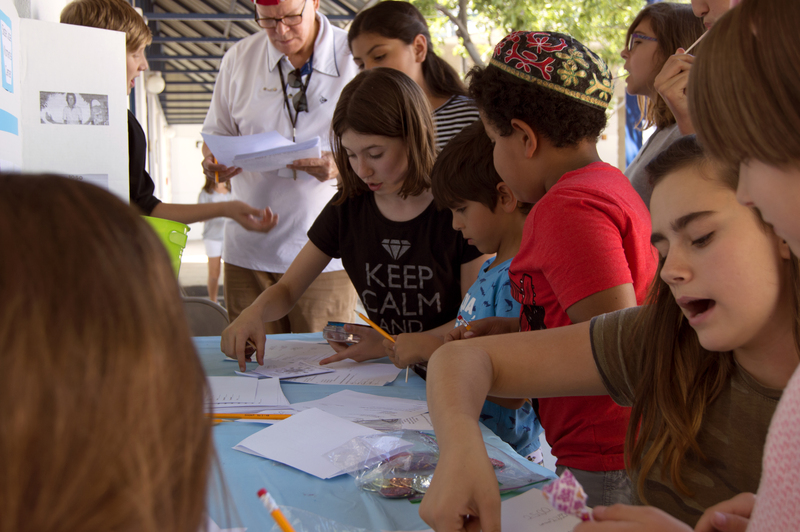 On Monday Sept. 18, Tucson Hebrew Academy held its annual “Passport2Peace” fundraising event, which educates students about local charitable organizations and allows them to donate funds to their favorite charities. Informational booths are set up throughout THA’s courtyard. Professional or student liaisons explain how the charities help the community. When the afternoon starts, students are given tokens, pre-purchased by their families, which hold a monetary value. Kids from every grade level then visit the various kiosks, learn about the organizations, enjoy activities, and decide where they’ll show their financial support. 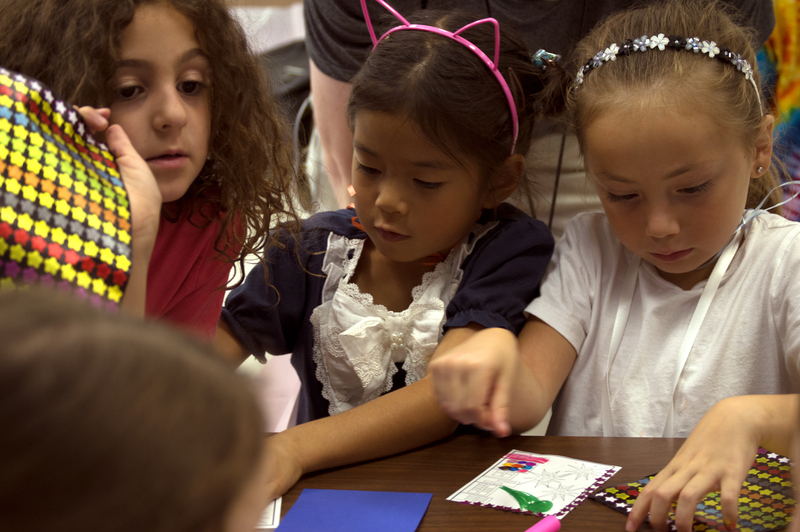 Tucson Hebrew Academy students learn about Sister Jose Women’s Center and participate in a budgeting activity showing the limitations of working a minimum wage job at the school’s Passport2Peace event Sept. 18. Last year, more than $1,800 was donated by students to a dozen local non-profits including Tu Nidito, Youth on their Own, The Wounded Warriors Project, Ben’s Bells, The Trevor Project, Gabrielle’s Angels, the Hermitage Cat Shelter, and Juvenile Diabetes Research Fund. More than a dozen organizations signed up this year, including the Jewish History Museum/Holocaust History Center, the Jewish Federation of Southern Arizona, The Trevor Project, Ronald McDonald House Charities, and Sister Jose Women’s Center. 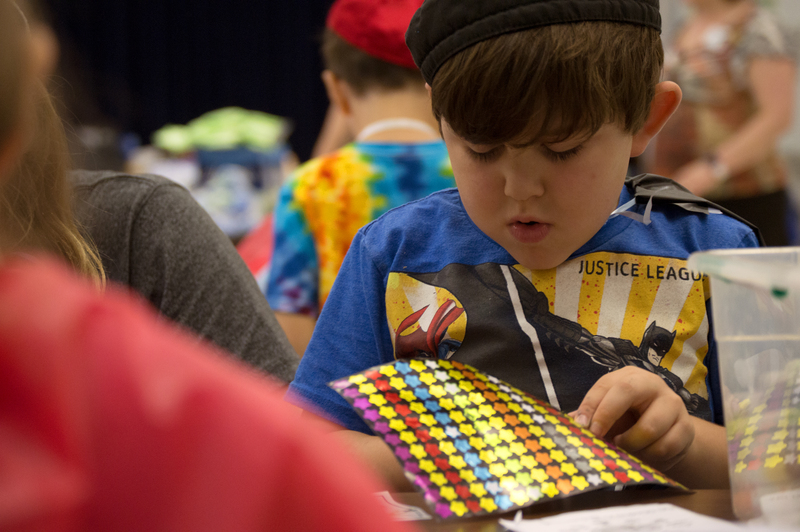 Students designed colorful greeting cards, which will accompany care packages, for kids at Tu Nidito and the Kids of Steele at the Diamond Children’s Medical Center. At least $10,000 has been donated to local non-profits since the event started 10 years ago. 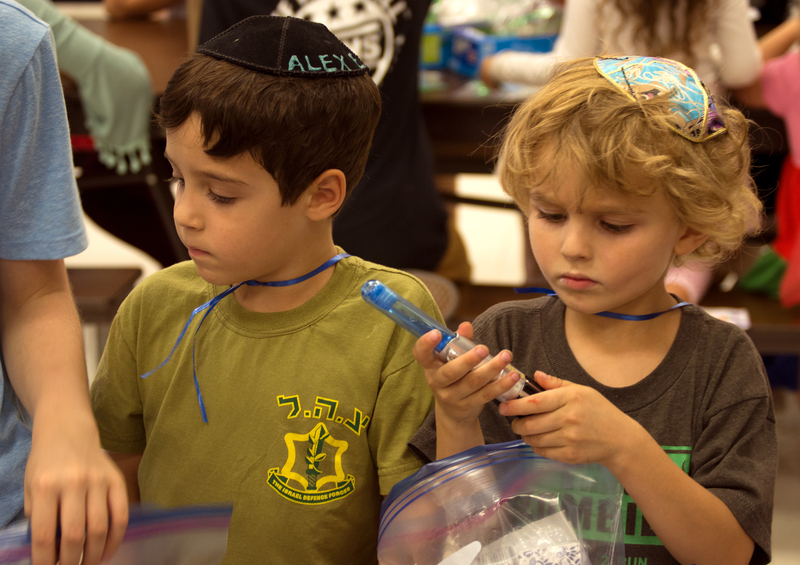 One of the core values of the THA is teaching the importance of the Jewish concept of tikkun olam or healing the world, says Head of School Jon Ben-Asher. Through service learning activities, “Passport2Peace” and other strategies, students not only learn that they have a moral imperative to make this world a better place, but actively participate in doing so, he says. Originally published on Sept. 22, 2017.